We’re thrilled to announce that 13 students from Truro & Penwith College have been selected to take part in the prestigious BFI Cornwall Film Academy. 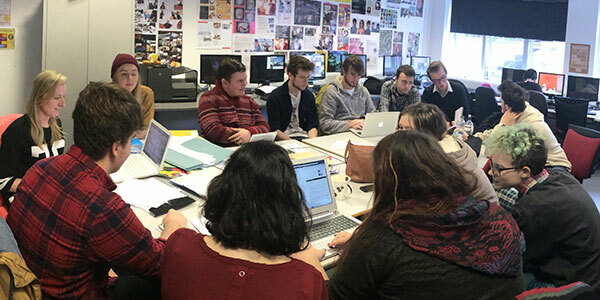 The students – who are all studying for the UAL Level 3 Diploma in Creative Media & Production Technology – overcame stiff competition to win an impressive 13 out of 20 places on the course. They will now work with filmmaking professionals to learn valuable skills through a series of industry-led workshops and practical experience. What’s more, students from the same course also won six accolades at the Cornwall Film Festival 2015; three first place awards and three runners-up.